We don’t get the opportunity to do versus videos as often as I’d like, but we’re ready to try and change that in the coming months. The truth is, with review units it is pretty difficult to catch two interesting devices in the office at the same time. Right now we have quite a few around, so we want to take full advantage of that fact and begin with probably the most-requested versus video of all: the Pixelbook vs. Pixel Slate. 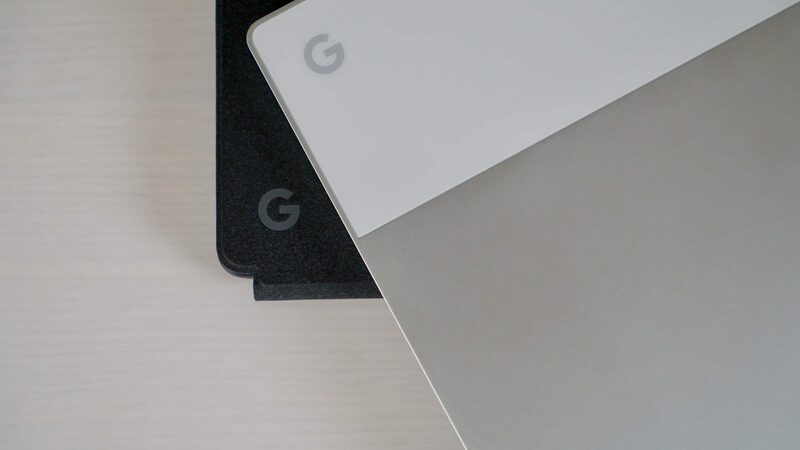 Sure, the Pixel Slate offers quite a few clear upgrades over the Pixelbook, but it doesn’t take much looking around the internet to notice a ton of users still loving their Pixelbook and a ton of reviews that aren’t great about the Pixel Slate. What we want to do in our new series of versus videos is go through the hardware and experience of both devices in much the same way we do for our reviews: build quality, screen, input methods, internals/ports and overall usability and feel. At the end of those categories, we’ll identify a winner in each, tally up the wins, and declare a winner. So, without any further ado, let’s get into the Pixelbook vs. Pixel Slate. We’re going to keep this pretty short, simple and straightforward. If you want, you can watch the full review of the Pixelbook or the Pixel Slate if you want a deeper look into either device. For now, bullets will suffice. Let’s be honest, both of these devices feel great in the hand and feel great to use on a daily basis. They perform well, look great, and inspire confidence. I honestly love both of them! However, I also have to look at this from the perspective of getting work done and the device being the one I want to use when push comes to shove and I have a choice. For me, when it is time to buckle down and get stuff done, I still reach for my Pixelbook. With the keyboard options on the Slate still not living up to the keyboard/trackpad of the Pixelbook, the great speakers and fingerprint log in aren’t enough to push me over to the Slate. The Pixelbook simply inspires confidence that it is, without doubt, the best tool for most jobs. Not a blowout and not a one-sided affair, this versus comes down to practicality over features and we said we’d pick a definitive winner. For some of you, however, media consumption will be higher on your list than it is on mine, and you may covet those sweet speakers more than I would. In that case, maybe the Slate is a better fit for you. But, if you are like me and your Chromebook is the machine you work and play on, I still think the Pixelbook is the better overall option.